JUWN's "RnBass" Sounds Shine Through on "MoreOfYou"
Featured Song: JUWN – NeverGoingBroke. Ottawa-based vocalist JUWN’s self-proclaimed “RnBass” sound has returned with “NeverGoingBroke,” a track that features more of fellow Nation’s Capital resident DJ OTR‘s trap-soul-type production. 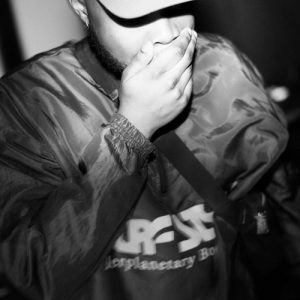 JUWN has been pumping out a steady flurry of tracks recently, all of which preserving his signature sound – one that is reminiscent of many of his contemporaries atop the new-wave R&B game, including the likes of Bryson Tiller, 6LACK, and dvsn. JUWN can count himself among a new generation of artists helping to put Ottawa – a city long overshadowed by neighbours and musical powerhouses Montreal and Toronto – on the map. And with some other exciting names like Night Lovell making waves, it seems like it’s just a matter of time before the 6(13) starts to pop.